Okay. It’s a pretty new saying. But it’s true nonetheless. Some friends of ours moved house recently, and the other night, we popped around to check out their new place. But when we got there, they didn’t just give us the grand tour; they also gave us a spread of beers to try, and an offer of a lift home. Now that’s hospitality! 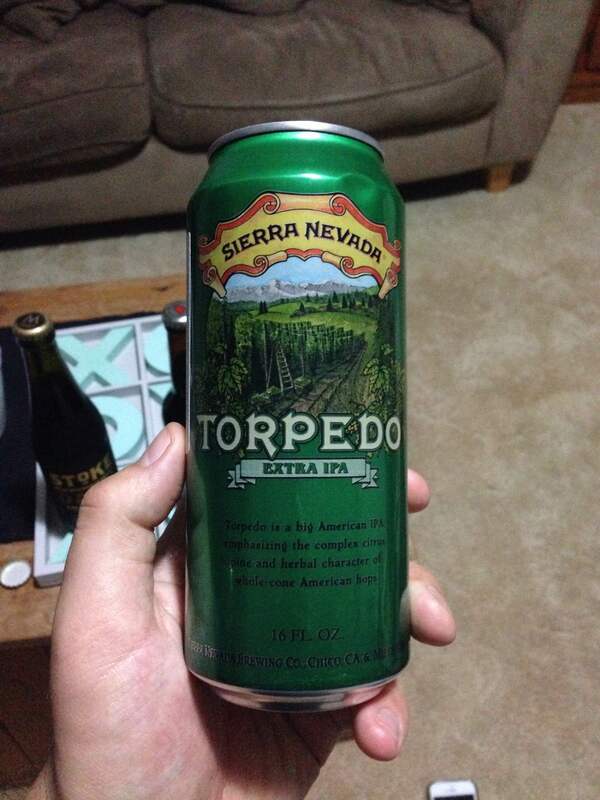 We sat around on their rumpus room floor and began with the can: Sierra Nevada Torpedo Extra IPA. It was bright orange, and full of flavour to match. I’m not a big fan of bitterness, so this bad boy kept me happy with only a mild kicker of bitterness at the end of a mouthful of fruit. Delicious. 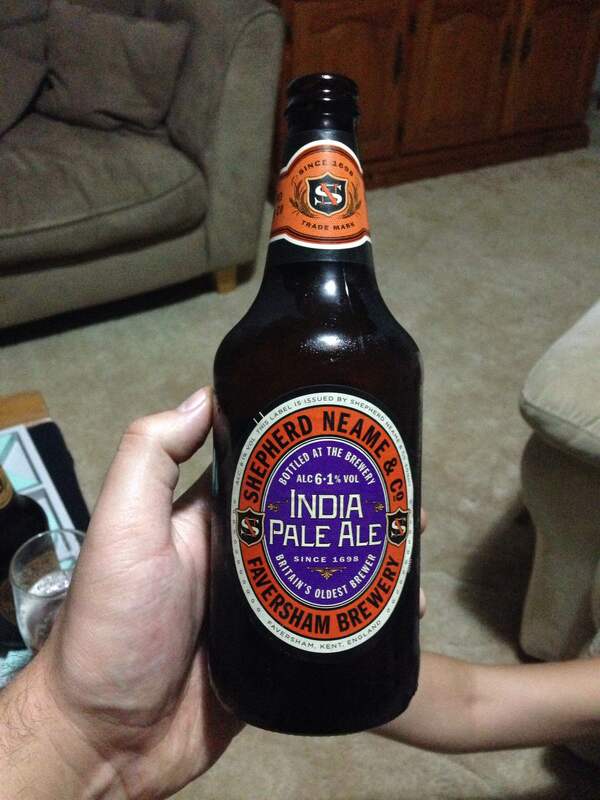 Next up was the Shepherd Neame India Pale Ale. Now, I hadn’t had an English IPA, but I was expecting much the same as any other IPA—bright colour, fruity or floral flavour, and hoppy finish. So when it poured the colour of golden syrup, I was surprised. And when I tasted toffee and caramel, with only a little hoppiness being whisked along in a flurry of sweet maltiness, I was surprised and impressed. I love me a good English brown ale, and that’s what this drank like. Jolly good, old chap! Now we moved onto the dark beers. 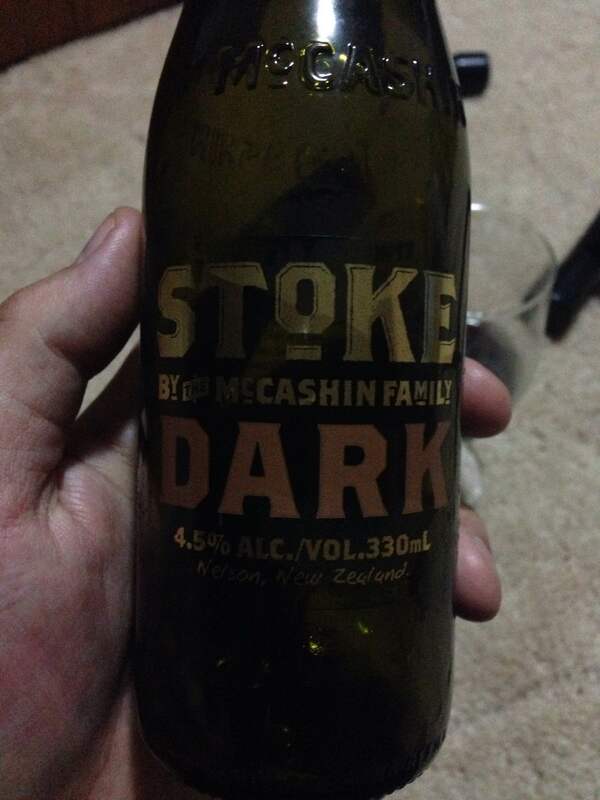 Stoke Dark was up first. Anyway, even with all that yellow-skinned suited-up dino-water, the beer was nice, but nothing amazing. 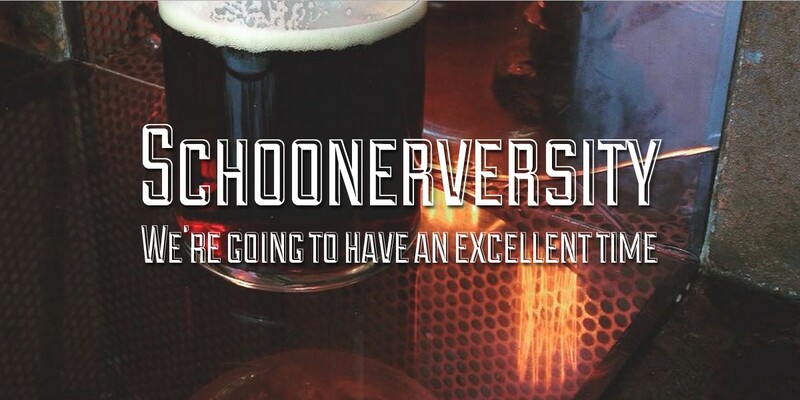 Having said that, it did have a little bit of the boozy/syrupy character of a scotch ale, which I liked. Not as potent a good scotch ale, but still pleasant. I guess the funky old water gave it something after all. 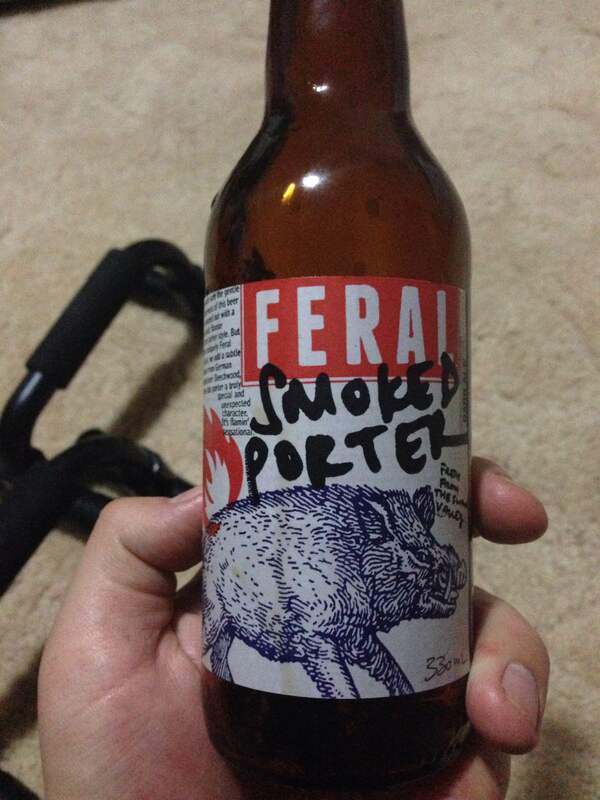 Fourth came the Feral Smoked Porter, another one I’ve had my eye on for a while. Now, I’m just going to put it out there—haven’t been won over by smoked beers yet. When it comes to food, I love smokiness. Smoked nuts, smoked salt, smoky barbecue sauce… can’t get enough. When it comes to scotch, I look for the smokiest dram I can find (Talisker 10 Y.O. sets my heart aflutter). But smoked beers seem to me like someone’s tried to make my beer into a food. Like it was meant to be a marinade but someone accidentally bottled it as a drink. 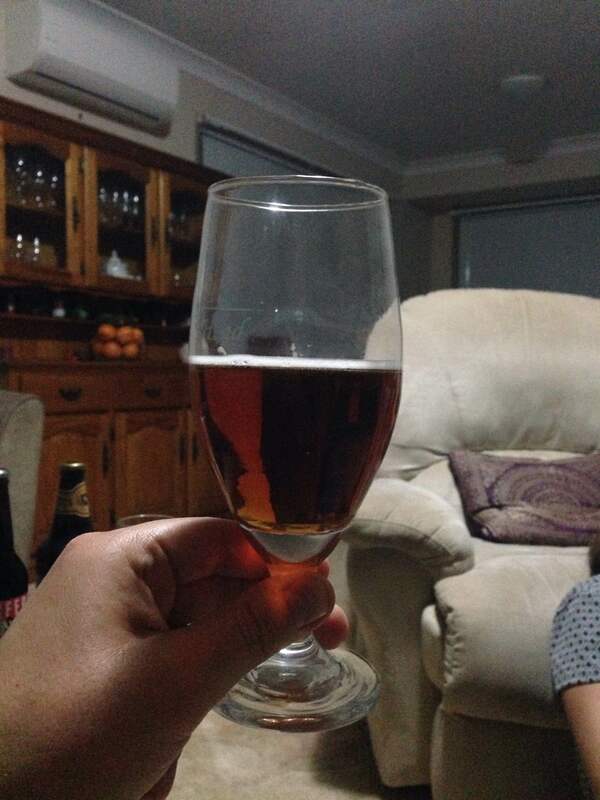 So I didn’t find anything unexpected or bad about this one, but it was like someone had put bacon in my beer. Which is apt for a beer with a flaming boar on the label, but not what I’m looking for in a beer. 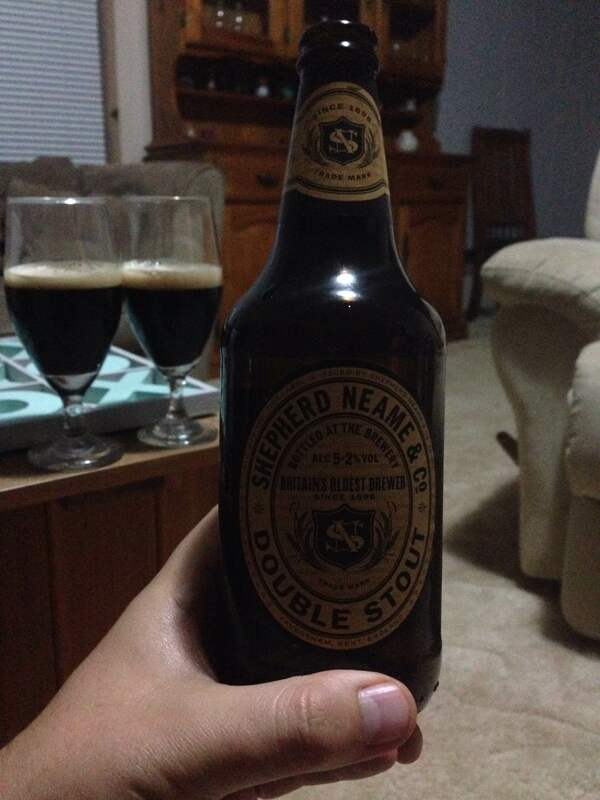 Last up was the Shepherd Neame Double Stout. Wasn’t quite the rich chocolatey flavours I was hoping to finish on, but rather a more subtle, bitter cocoa taste. Nothing to write home about, but not too shabby. So the IPAs won the night. That’s unusual for me, but I’m always happy to be pleasantly surprised. Honestly, they were all pretty good beers, and doubly sweet for the fact that they appeared unexpectedly in front of me in the company of good friends. I can’t believe I didn’t realise that you don’t really like smoky beers! I would have assumed you lurve them. There goes my plans for your birthday. Surprising, but true. I’m a mystery wrapped in an enigma, huh? Guess you’ll just have to fill a swimming pool with red IPA instead.